There's very little difference between base and Premium-trim Cascada convertibles—but we think the added safety equipment is worth the extra money. 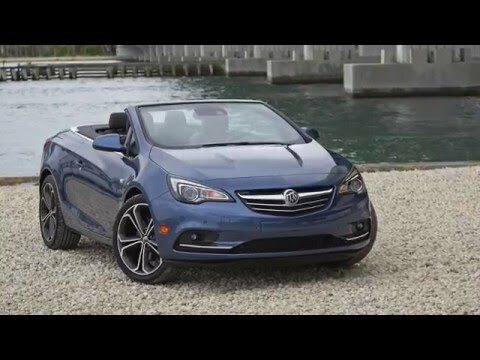 The 2016 Buick Cascada is built for days when the best driving is done with the top down. You’ve probably forgotten the Reatta, right? It's true—it's been 25 years since Buick last had a convertible in its lineup. This year, GM's premium brand wants us all to drop the top again, with the first four-seat convertible it's ever imported from Poland: the 2016 Buick Cascada (pronounced cass-KAY-dah). It's no halo car, not a Wildcat, not a GNX. The Cascada is simply a very well-engineered convertible with an extra dose of nice applied before its trip across the Atlantic. No brittle ride, no hideous price tag, no complex folding-hardtop mechanism. The Cascada's arrival is well timed, given the disappearance of the VW Eos and Chrysler 200 from the convertible scene—not to mention the high sticker prices on the German rivals (Audi TT, Mercedes-Benz SLC-Class). The Cascada doesn’t break any new ground in terms of styling. It's not a flamboyant look at all, just an attractive droptop with some subtle European themes showing through its Buick badges. 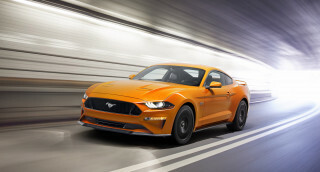 It has a pleasant, rakish profile, and some pronounced side-body sculpting, with a crease that starts behind the wheel wells and arcs back into the taillights. Wing-shaped LED running lamps frame a petite waterfall grille, while chrome bars ring the passenger cell and trim the trunk lid tastefully. The cockpit is disrupted by a clutter of buttons on the dash, a legacy of GM's halting migration to touchscreen-driven controls. The cabin's very well appointed in muted tones and soft-touch surfaces, but the center stack has all kinds of switches, knobs, even a joystick to run the audio, phone, and navigation systems factored into its electronic offerings. Newer Buicks do it better, with fewer toggles. Performance is reasonable for the Cascada's top-down driving mission. 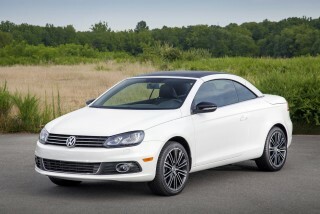 Under the front-wheel drive convertible's hood sits a 1.6-liter turbocharged inline-4 rated at 200 horsepower and 207 pound-feet of torque—on par with some benchmark engines like VW's turbo 2.0-liter inline-4. Shifting is tackled by a 6-speed automatic transmission, with no manual option, and no paddle shift controls. At about 4,000 pounds, the Cascada is rather plump and it shows in its leisurely acceleration. That makes it about 500 pounds heavier than a Chevy Cruze diesel—or a V-6 LaCrosse sedan. Where's that heft come from? Extra reinforcement to cope with the open roof. The Cascada doesn't waggle much, so the added-on weight is a success--— one dimension, at least. The extra weight helps damp out the Cascada's ride on perfectly smooth pavement, but its 20-inch wheels and particular suspension tuning leave it less satisfying in city driving. It's smooth and composed until it's not--and that's often, since big bumps can upset its ride damping, and deliver some harsh impacts through the front-strut and rear Watts-link suspension right to the cabin. The Cascada's real forte is driving with its top down. 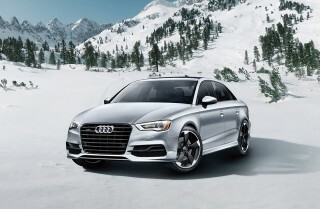 The thickly lined cloth roof drops in fewer than 17 seconds at up to 31 mph, making it perfect for stoplight maneuvers. That will come as great news for the front passengers that get to enjoy what the Casacada is really about, including its nicely bolstered front seats. They sit a bit higher than in some compact cars and offer stellar long-distance support thanks to good bolstering, power operation, and standard heating. The rear seat is, predictably, far less friendly to adults. It is narrow and its bench sits low to the floor, but at least there are sensors to prevent the front seats from motoring too far back and into the second row's knees. The Cascada's trunk offers 13.4 cubic feet of volume with the top raised, but a mere 9.8 cubic feet with it down. The top slides in place under a built-in cover ahead of the decklid, and a blocker panel permits luggage loading under the area where the top stacks. The rear seatbacks fold forward for more cargo capacity. As for its safety, the Cascada has not been subjected to crash tests yet, but there’s an active rollover safety system that deploys to protect passengers involved in a rollover accident. All Cascadas get a rearview camera and rear parking sensors; an extra-cost option package includes forward-collision warnings as well as parking sensors up front, but high tech features like adaptive cruise control and lane-keeping assist are not offered. Standard features on the Cascada include power windows, mirrors, and door locks; eight-way power front seats; a rearview camera and rear parking sensors; remote start; a steering wheel that is heated; and leather seating surface. The Cascada's in-dash infotainment system features a smaller, lower-resolution touchscreen than many other Buicks—it's a half-step behind the times, though the Cascada does also offer an OnStar 4G LTE data connection with built-in wi-fi hotspot, as well as text-message alerts, a navigation system, and Apple's Siri Eyes Free compatibility. Pricing starts at $33,990 for the standard Cascada, and rises to just under $37,000 for a convertible equipped with the optional safety equipment. At those reasonable sticker prices, the Cascada shows that there's plenty of room on the roads for a vacation-ready convertible that isn't a Mustang or a Camaro or a Miata—and doesn't dream of being one of that holy ragtop trinity. Pretty sculpting and lightly applied details give the Buick Cascada a contemporary, fuss-free shape—at least on the outside. Buick breezes by flamboyant, trendy styling with its Cascada. It's content with what it has—a rakish, pleasantly drawn convertible with some cleanly rendered details. The Cascada's body proportions ar high tece global, the influences slightly tilted toward European—just like Buick's other imported vehicles. The Cascada has a deep crease that runs down its sides that picks up behind its front wheels and extends to the taillights. It's a line that works just as well on the Regal four-door, which also was penned by GM's European studios. Winged signature LED running lights lend the Cascada some presence. A formal touch of chrome rings the cabin and runs across the tail, where the taillights angle in with a decided German cant. Inside, the Cascada's cockpit is rather conservative. Its gauges and switches wrap around the driver's seat in a way that does line up with the rest of the Buick lineup. Soft-touch materials, thin lines of brightwork, and gentle colors and tones make it a comfortable place to relish top-down motoring. But the Cascada's center console is cluttered with dozens of switches and buttons. The center stack is more akin to a television remote than an intuitive collection of switches; it's an outdated appearance that Buick has thankfully improved upon across the rest of its lineup. We're big fans of conventional buttons not superseded by a touchscreen, but clutter isn't good. 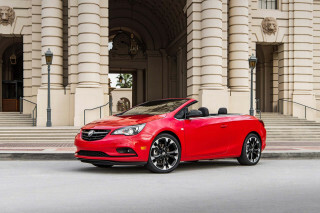 The Cascada's hefty curb weight hones down the charm of its zippy turbo 4-cylinder. 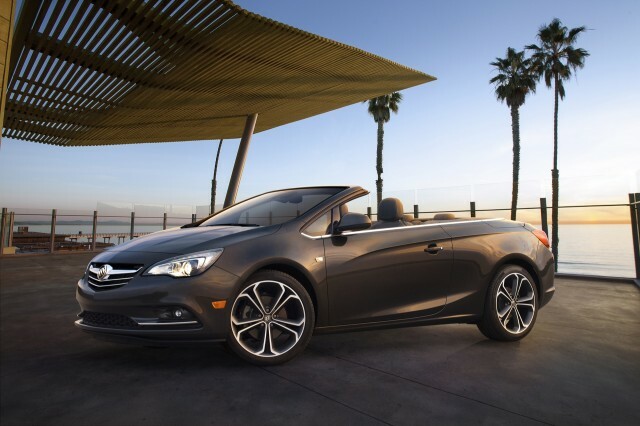 The Buick Cascada depends on its convertible top to deliver driving satisfaction. 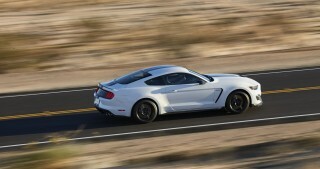 It's not designed, engineered, or intended to be a lightning-quick sports car, and its acceleration, ride, and handling are tuned to hit casual-use marks, not performance benchmarks. By the spec sheet, the Cascada could aspire to better performance were it not for one line item. The front-drive convertible gets its power from a 200-horsepower, 1.6-liter turbocharged inline-4 with 207 pound-feet of torque. 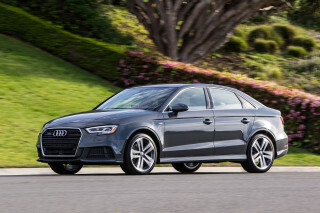 (There's an overboost mode to bump that figure in short bursts to 221 lb-ft.) In output and smooth, linear, low-lag power delivery, it's on par with other small-displacement turbo benchmarks like VW's turbocharged 2.0-liter inline-4. There's no manual transmission to handle that power—and none needs to. it's all shifted by a 6-speed automatic with no paddle controls, just a side slot for quasi-direct control of gear changes. There's little reason to take a hand off the wheel to goad the Cascada into swapping cogs; it already has its shift schedule down like a Sunday golf time. The small-displacement turbo four moves the Cascada off the line just fine, but with a couple of adults present, it strains before it hits a performance wall. Gaining momentum instantly becomes a challenge in uphill climbs, too. It could be much quicker if it weren't for the substantial amount of steel added to the body to make it rigid. The Cascada could hit GTI power-to-weight ratios were it not for a ground-pounding curb weight of 3,979 pounds. That's heavier than a V-6-powered Buick LaCrosse, about 500 pounds heavier than a similarly sized Chevy Cruze with the added weight of a diesel under the hood. There's a point to the weight gain. Convertibles tend to twist and shake without copious amounts of bracing welded to their bodies. The Cascada gets reinforced side sills and stiffer A-pillars to keep the wiggling below happy-canine levels—and in truth there's little to no cowl shake. Mission accomplished, but at a cost. At least the Cascada's fuel economy doesn't suffer too much. It's rated at 20 mpg city, 27 highway, 23 combined. The weight hampers acceleration, but it helps smother some road flaws on near-perfect flat roads. Our first drive in the Floriday Keys left us with one impression of the Cascada, that of a distinctly non-compact-car ride, one that was smooth, especially for a small car riding on 20-inch wheels. We credited that to suspension design. The front struts have a more substantial layout than most compacts, and the rear end's Watts Z-link suspension does the same next-level job it accomplishes in the Chevrolet Cruze and Buick Verano sedans. Even on 20-inch wheels, that first Cascada we drove felt reasonably composed and poised, though slow steering response was a complaint. Since then we've spent time in L.A. and Atlanta in the Cascada, and we're less impressed. On those urban streets, the Cascada felt more unsettled, needing more constant steering corrections. It used up all its suspension travel on medium-sized bumps, leaving it at odds with the biggest obstacles. It heaved and leaned more than you’d think over big bumps, railroad tracks, and heading quickly around corners, but felt jittery over surface irregularities and roadway cracks. Two passenger get the royal top-down treatment, but the Buick Cascada has only short-term accommodations in back. Like most four-passenger drop tops, the Cascada treats the front seat quite well. The back isn't very large or comfortable for adults over long drives, while luggage space is adequate. For front seat passengers, the Cascada delivers a delightfully sunny driving experience. 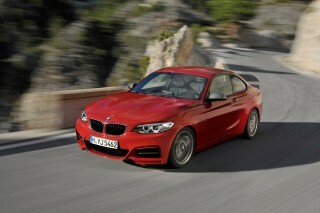 Its leather-faced bucket seats come with power adjustability and decent bolstering that shows its Euro roots. Hidden motors deliver the seat belts to the front within an easy reach. The front seats are sufficiently supportive for long drives, but their seating position sits unusually high for a zippy two-door. 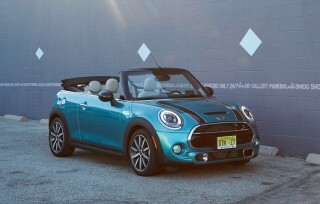 Operating the cloth convertible top is a piece of cake. Well, really,pull of a bracket-shaped lever on the console that raises or lowers the top in under 17 seconds at 31 mph or less. A single button drops or raises all four side windows. With the top raised, the Cascada's thick top lining renders it quiet enough to hear conversations or streamed music. The modest back seat offers adults room fo a short cross-town jaunt, but it isn't the place to sprawl yourself out for a round of tanning in the sun. The bench is low, the allotted space is narrow, and the side panels rise to shoulder height. A nice touch, however, is a set of sensors that automatically stop the front seats from reversing into second row knees. The back seat is best considered as an extension of the 13.4 cubic foot trunk that shrinks to 9.8 cubes when the top is down. For additional space, the rear seat backs flop forward for expanded trunk access, through a small but useful cutout. The Cascada has some advanced safety features, but no crash-test data has been made available. Though it's related somewhat to the current Chevy Cruze, there's enough sheet metal surgery that's gone on to prevent us from applying any benefit of the doubt from the Cruze to its new droptop cousin. All Cascadas feature as standard the required front and seat-mounted side airbags, plus a set of normally hidden pop-up roll bars to protect passengers in the event of a rollover. A backup camera, rear parking sensors, and lane-departure warnings are standard equipment. A package that includes forward-collision warnings and front parking sensors is available as an extra-cost option. However, the Cascada does not include blind-spot monitors, adaptive cruise control, or even lane-keeping assist, features that are increasingly becoming standard in this convertible segment. Even with the top raised, outward vision is above average in the Cascada. It does, however, feature rather small side mirrors that are placed further back on the door than we would ideally like. Their placement is a boon for aero, but less useful for watching the road. The Cascada comes very well-equipped, with just a handful of safety options available. Buick fits the Cascada almost in a singular specification: most features are standard, with a mere handful of options left to pick, including safety features and color schemes. Pricing starts at $33,990 including destination. At that price, the Cascada convertible comes with power windows, mirrors, and door locks; eight-way power-adjustable front seats; a rearview camera and rear parking sensors; remote start; a heated and leather-wrapped steering wheel; as well as leather seating trim. A Premium trim level is priced at just under $37,000, and includes a bundle of safety tech including forward-forward collision warnings; lane-departure warnings; parking sensors front and rear; plus automatic headlights. The Cascada's connectivity features set includes an infotainment system, an OnStar 4G LTE antenna with a built-in wi-fi hotspot (data services available via an extra cost subscription), text message alerts, and Apple Siri Eyes Free compatibility. The Cascada's in-dash infotainment system feels a half-step behind newer rivals, even some older Buicks. It includes a smaller (7.0-inch) and somewhat lower-resolution screen that is controlled also by buttons and a rocker joystick. The system is fiddly and has been superseded in some of the brand's other products with a much more modern touchscreen system. Gas mileage in the Buick Cascada isn't a priority. Fuel economy's hardly the main concern in a luxury convertible, so the Cascada's EPA ratings of 20 mpg city, 27 highway, 23 combined may not be a big concern. 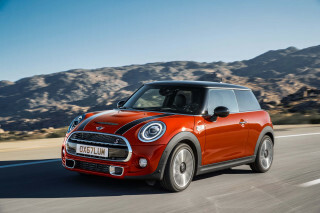 That's lower by a fair margin than competitors like Audi's A3 Cabriolet, which is rated at 24/35/28 mpg. Driving in the real world, the Cascada's hefty curb weight and its overly aggressive transmission programming deliver less-than-stellar efficiency. Around 70 miles of mixed driving around Los Angeles' surface streets and freeways during the course of a few days delivered a mere 17 mpg, whic his surprisingly weak for a modest 1.6-liter engine. There are no drivetrain alternatives—transmissions or engines—to improve the Cascada's ratings. Looking for a different year of the Buick Cascada?